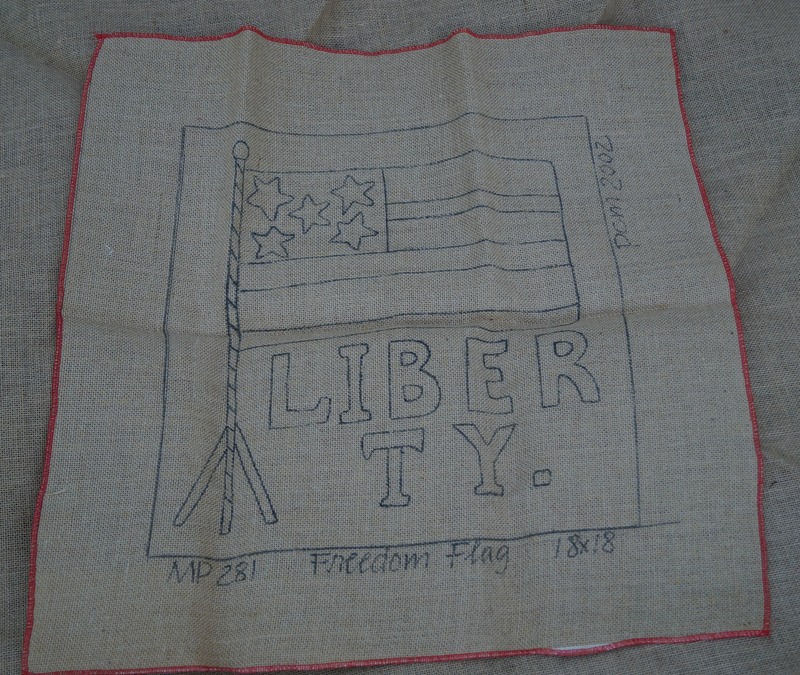 FREEDOM FLAG stamped rug hooking backing stamped on burlap. Measured 18 inches by 18 inches. Backing only. Could be used for a wall hanging or a pillow.